Soft, light, and oh-so fluffy vegan vanilla cupcakes? This classic vanilla cupcake recipe is so simple, you probably already have all of the ingredients in your pantry to make them. Do You Have A Go-To Cupcake Recipe"
Everyone should have a basic cupcake recipe in their repertoire, because cupcakes are perfect for so many occasions. They’re quick to whip up any time you’re asked to provide a dessert last-minute for work or school, and you can keep all of the ingredients on hand to ensure you’re always prepared. I frosted these with the homemade vegan cream cheese frosting from my Pumpkin Cupcakes recipe. 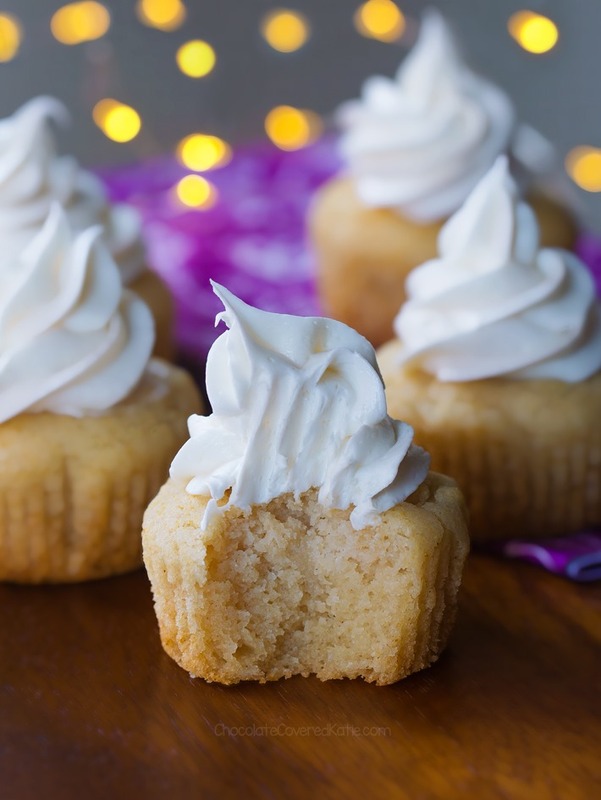 The best thing about vanilla cupcakes is that they?re a blank canvas, meaning you can change up the frosting to turn them into any flavor you wish. Chocolate frosting, buttercream, coconut frosting, peanut butter, raspberry jelly, whipped cream, chocolate ganache? the choice is completely yours. If you don’t want to bother with frosting, they’re also good plain! If you do opt for the frosted route, my favorite icing tip is this 1M star tip by Wilton. It?s my simple trick to effortlessly transform any basic cupcake recipe into something that looks so professional, people always think they must have come from a bakery. And yet, the entire process of frosting the cupcakes takes less than five minutes.